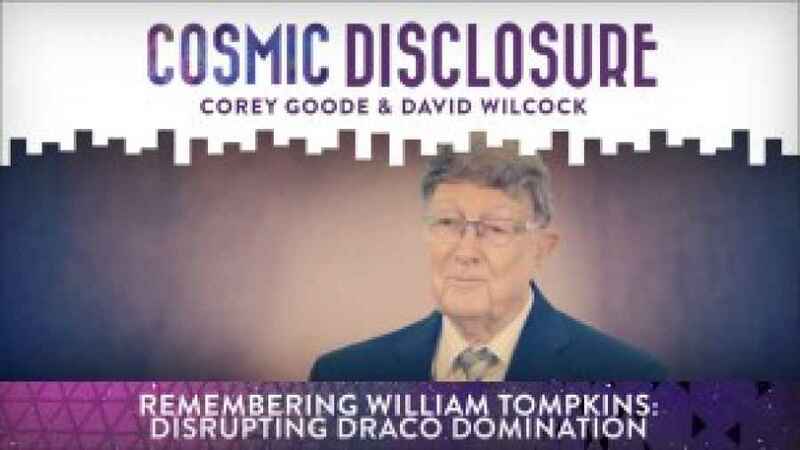 William Tompkins: It's very strange that this has been going on, that the same structure of a medieval country – kings, queens, princesses, all of the top people – agreed with maybe France's or Spain's group, and they became the elite. They became the control of the population in their countries and were never allowing the people a real life, never allowing them to participate in many of the other things, and many of them were actually slaves. So the big slavery business out there is a big business. It's a major business today – a massive business. Anything that you want to manufacture, anything that you want to farm, anything that you want to build, it's all done with slave people. In Germany . . . Germany had massive underground facilities that were all slaves and even to the extent that when the decision was made before the war ended that they were going to continue all of their extraterrestrial developments on UFOs and on every weapon system that they were building, they took the production facilities to Antarctica, but they also brought the slaves with them. So now there are slaves underneath the ground and they still are today in Antarctica. But the slave business out there is a big business, and this is happening today. It's not something that happened 100 years ago. This has been going on a long time and that needs to be fixed. There's all kinds of slavery. There's sexual slavery, unbelievably. There's many different classes of people that are abducted for slavery, sexual slavery. They want the top and the smartest, because they are worth more. They have, I think, four or five different levels of people that they abduct. They abduct top medical research people. They abduct the corporate levels, and they abduct the most brilliant levels, and then they go down through the three levels and that says where they get sectioned off. Everybody gets to two planets and then it's decided where they're going to be sent to. But it's a massive business. It's been going on for years, and we can't identify where these people have gone. Just like 'normal' abductions, we don't know where they went, because most of them don't come back. We're only hearing from the few that came back.